This is a one-off custom by Proux. Note the Woodlights and driving lights in the bumper ends. An error has been made here concerning the identity of the body builder of this Packard. The body is by Waterhouse of Webster, MA, not Proux. This 7-45 did not have Woodlites when new. It's first restoration in the 1960's was by the late Art Mellor of Rhode Island. The bumper with a light in each end was an accessory item, known I believe as the "Light-Bar Bumper," manufactured in Warren, Ohio. 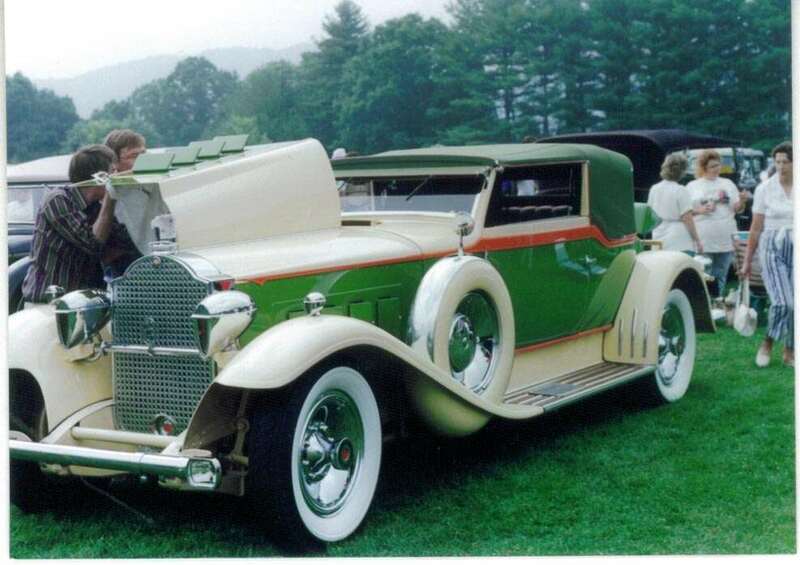 It was shown in the Packard Accessory Catalogue from about 1928 through 1931. Jim Pearsall.